“Little League.” For kids, these words evoke fun, teamwork, and (possibly) orange slices. For young adults, they may induce nostalgia. For everybody, they are a symbol for spring and youth. Little League baseball and tee ball are American institutions that have connected individuals, families, and communities for generations. How could one not be excited for the upcoming Little League season? Yet, for some parents, hearing these two simple words may provoke the onset of a headache, particularly for those adults who are tasked with coaching and scheduling the games. Since Little League baseball and tee ball have been around for decades, there are high standards to be met regarding how these leagues are to be run throughout the country. Consequently, there is a large burden placed on the shoulders of team and league administrators. Specifically, administrators must review the equipment inventory, make sure all interested players are signed up, and collect all of the necessary forms and fees from parents. Even worse, some adults are also stuck with choosing the team’s uniforms, which can be daunting given that the players, parents, and coaches will all be scrutinizing their gear choices. Nobody wants to see their son or daughter on the diamond in a revolting or flimsy uniform. Here are some cost-saving tips for the adult who is charged with picking the team’s uniform on a tight budget and doesn’t want to face the wrath of the team and it supporters. This is Little League, not the pros. While kids may want to look like their favorite baseball stars when they’re out on the field, they don’t need to wear the expensive brands that most professional ballplayers sport. In fact, many of the players won’t care at all. Opting for a cheaper brand is a smart move because their products are often still quite durable. One such brand is Sport-Tek, which has a very affordable uniform package. 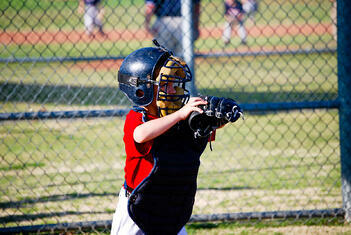 If you’re buying uniforms for tee ball, all you need is a shirt and cap (typically). For Little League, matching shirts, pants, stockings, and caps are the norm. This is quite common around the country. Many Little League teams feature the name or logo of a local company printed on the back of their jerseys. This is an easy sell to local firms; after all, their potential customers and clients are sitting in the stands—or maybe even playing on the field. Meanwhile, your team picks up some extra funds (anywhere from $150-500, usually), and possibly some perks, too; ice cream shops and restaurants often offer discounts to the teams they’re sponsoring. While you may only be choosing the uniforms for one team, you should strongly consider teaming up with the uniform administrators of other squads in your league to submit one bulk order. This will save you all money. The best way to organize a large order is to contact your league coordinator. No matter what your team’s financial situation is, you should always order your uniforms from a team dealer, a company that specializes in selling team sporting goods. Not only can they offer you discounts on bulk orders and free gear down the line, but they can also advise you on what types of brands to buy based on your budget and can customize your apparel.